The coral reefs in Southeast Asia are the most threatened in the world. About 95 percent are at risk from local threats (i.e., coastal development, overfishing/destructive fishing, marine-based pollution, and/or watershed-based pollution), with almost half in the high and very high threat categories. 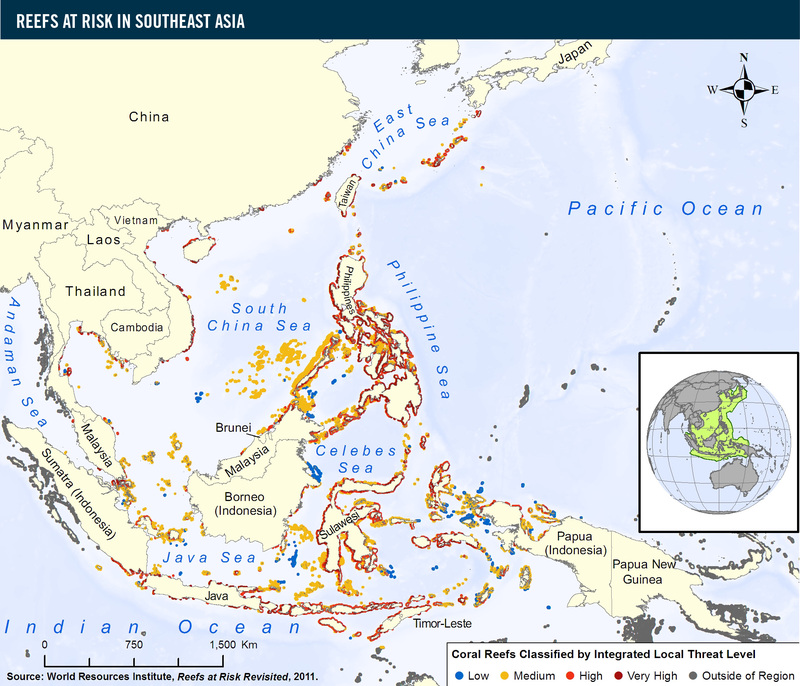 The few places that are in the low-threat category are located in the more sparsely populated eastern areas.